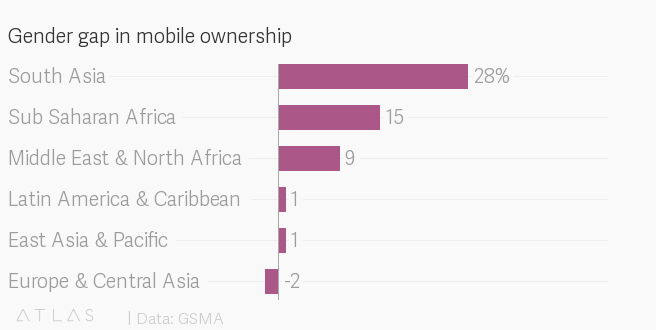 The rapid growth of mobile phone ownership in low and middle income countries has been one of the defining trends of the past decade. However, closing that gap in low and middle income countries could result in all-round multi-billion dollar benefits, a new study by industry trade body GSMA estimates. An uptick in mobile phone ownership and mobile internet use among women in low and middle income countries could potentially boost and transform businesses, thus improving quality of life for entire families. By extension, it’ll also be a boon for the average revenue per user of telecom operators and could broadly provide an estimated additional $140 billion in revenue to the mobile industry over the next five years. A collective commitment from low and middle income countries to make and support moves to close the gap also promises serious upside: GSMA estimates more equal mobile internet use rates between genders could add $700 billion or 0.7% in GDP growth in these countries over the next five years. But there’s significant work to be done as, overall, women in low and middle income countries are 10% less likely than men to own a mobile phone and are 23% less likely than men to use mobile internet services. South Asia and Sub-Saharan Africa are most affected regions globally with women being 28% and 15% less likely to own mobile phones respectively. That disparity is also reflected in the gap in mobile internet use between both genders with the two regions lagging globally.